There is no harmony of views on the origins of the town's name: for some historians, it derives from the Latin word "vasculum" (small bowl), while for others from a person's name Vasco or Basque (inhabitant of Gascony). It is a municipality in the province of Terni, perched on a hill with a compact structure, not far from where the river Tiber meets the Paglia and the artificial lake of Corbara, a famous resort for tourists, anglers and nature lovers. An area of particular natural beauty which gives shelter to a varied fauna. The municipality includes, in addition to the main centre, several districts and villages. 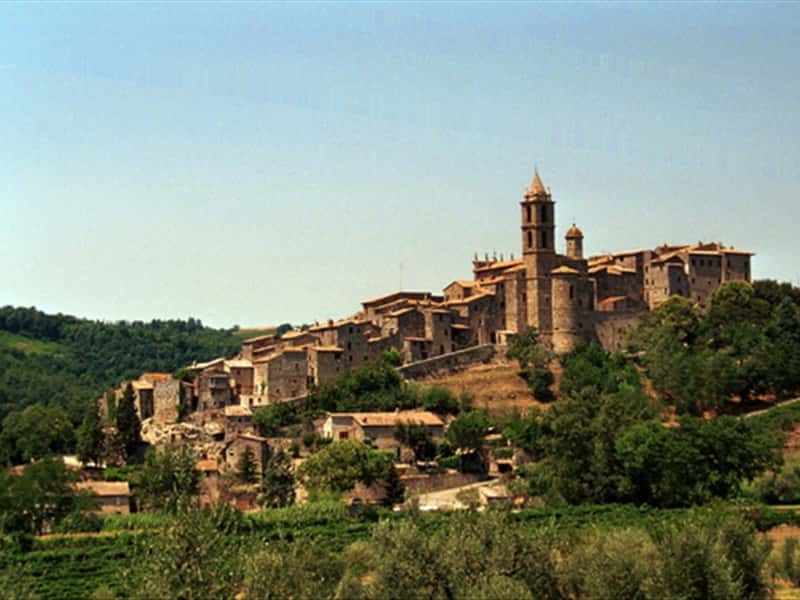 Worth of mention is the Paglia Valley, an environment rich of flora, ideal for hiking between woods and trails. Probably of Etruscan origin, there are several Roman remains traced in the area and the historian Diodorus Siculo, narrated that Baschi was the site of the defeat of the Gauls of Brennus by the Romans. In the Middle Ages, the town developed thanks to the government of the first Lords of Baschi, perhaps of Lombard origins, which lasted a long time and were also celebrated by the famous writer Machiavelli in one of his famous works of literature. The Baschi supported the cause of the Ghibellines, which in the medieval period meant that the town was directly involved in the struggles against the Guelphs. Despite having won its independence, the town remained under the influence of this family until the mid XVI century, when it submitted the rule of the Papal States. - the Convent of Sant'Angelo in Pantanelli. - the Castle of the Lords of Baschi. This town web page has been visited 17,103 times.